A fairy reminds us that amazing things can happen when we choose to believe. In the story of Peter Pan, Tinker Bell uses her pixie dust to make Wendy and the rest of the Darling children fly when they believe in happy thoughts. She also needs children to believe in fairies in order to exist! 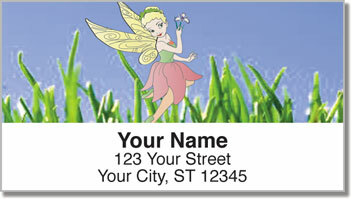 Pretty Pixie Address Labels feature four spritely characters that could be Tink's cousins in a meadow of green grass. 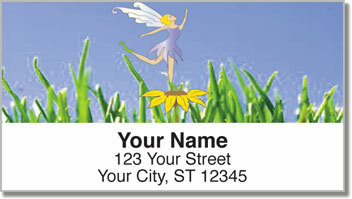 They're a great way to sprinkle a little magic on your outgoing mail. These labels really will feel like magic because of how much easier it will be to prepare letters and packages. 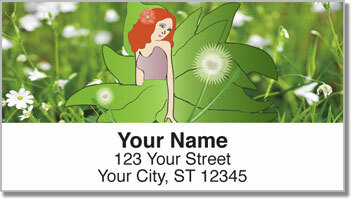 Forget the painstaking process of writing your name and address on every envelope. Now all you need to do is peel and place! 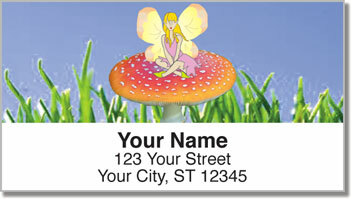 Get your own Pretty Pixie Address Labels now! Don't forget to add the matching personal check design.